Not to be outdone by STC’s midnight launch, Mobily is planning a midnight launch of the iPhone 4S in Saudi Arabia as well. Mobily will sell the iPhone 4S starting tonight at 12:00am (December 16) until 2:00 am. This will be the first “second” time we have a â€œmidnight launchâ€ in Saudi Arabia so if youâ€™re attending make sure to take photos. 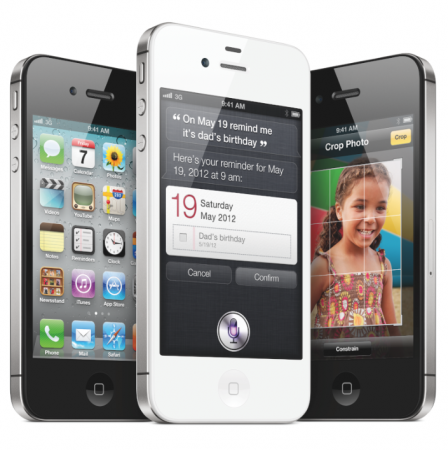 Only “mega” branches in Jeddah (Thaliah St, across to Scico), Riyadh (King Abdullah Street) and Khobar (Dharan Road – across Saco) will be open at midnight to sell the iPhone 4S. Mobily iPhone 4S prices are listed in a previous post. @abdullah. FYI, YesÂ iPhoneÂ is carrier locked if you are buying it for 12 month contract period. But if you are paying full price than they will sell Factory unlocked. nope. just change your sim card to STC or Zain and you’re good to go. Hi the information was acurate got my iphone 4s at 12:10 am. It was very quite at mobily tahlya shop just 20-30 people. Lets see what happens in afternoon. Yea dude…u mind tellin us if there’s Facetime & iMessage already in iPhone 4S ? Dear Ali, if you purchased without contract, can you tell me if it has FaceTime? Did you buy one and test it with stc? Guys, STC and Mobily don’t and can’t sell locked phone. No matter u purchased a prepaid or postpaid. This is because they don’t have any technology to lock.Feel free to replace it with Mobily/Zain/STC and use it. The local iphone4S are factory unlocked and cater made for GCC specs. It is without Facetime and has the latest iOS version. Is it confirmed that it does not have facetime enabled? No facetime with any iPhones with model numbers like MCXXXAE. AE stands for Arab Emirates and the FaceTime is NOT available. No restrictions on iMessage however. Just bought an iPhone 4S from Mobily Madinah branch next to Haram. Not much people showed up but as usual, mobily customer service experience was horrible. First I was able to make contract for Bundle 100 but as I was about to pay, the system crashed and after 2 hrs waiting, the mobily guy told me he can’t do the bundles anymore and that I can only buy prepaid units. Plus, I thought I’d have free 500mb data for 6 months but he said it’s 50SR per month, which if true, is a kind of deception. Im totally agree with you abdullah…i even received the message from mobily that if you want to enjoy premium services, you’ve got to Recharge 50S.R/month…wat kinda bulshitttt is diss ? ive been callin mobily for 2 dayz n dey have been sayin services will b activated within 24hrs…im really frikin pissd ! Yea, I would’ve never bought it from them if I knew they were false advertising. The only reason I bought from them is that I thought they have free 500mb. Since ages, Mobily is all time notorious for hidden charges, fake advertisements etc. I suffered a lot with them then closed all their services. STC is not very good in comparson but at least they try to give what they promise. That is what I did as well and switched to STC, but got deceived into believing them again… lol. Th only thing good about them is their data speed which I believe is faster then STC. same here.. i only bought it for the 500 mb :/ Damn it mobily.. I put in my STC sim again.. Does anyone know if STC gets 250mb actually for free? Yes I’m enjoying 250MB with the package…. But I needed more so I topped-up with 1GB. So now I have 1.25 MB. i got the iphone 4s 32 gig, white from stc in dammam, postpaid 249 plan. i inserted a vodafone india sim and it connects!! plus facetime u can enable after jailbreaking. i dont know why they lock facetime…facetime is enabled in every mac they sell in saudi, dubai or any gulf country!! i want the 4S factory unlocked but without the AE serial (so it has Facetime and iMessage)…has anyone found any reliable re-sellers here in KSA?? BTW, does anyone else notice a yellowish screen on his 4S? I got one and it’s a bit yellowish but I hope it will fix itself. Yellowish screen is not normal. I am using STC prepaid number since last 3 years registered in my Iqama. If I convert to postpaid, will I be able to get basic package of iPhone 4s. iphone 4S 16 gb in mobily is data only? i cant call and i cant send text message? Is facetime or having facetime really that important?? Especially knowing that there are atleast 10 – 15 apps with the same or even better capabilities???? Hello! Or the program completes you??? Grow up already. Anyway, STC and mobily units are no different. Its like buying a GMC here in the gulf or getting one from US? Same logic there. Your buying the local specs in both cases. The iphone 4S whole sellers is whom i am interested in. My contact is 0505483443, at your service for wholesale of 4S only. Plz remember, iphone4 is over and only available in 8gb version. Also no! 4 is not better then 4S. Its called 4S for a reason! I personally believe that FaceTime is an incomplete technology. What to say about it when it doesn’t work if you don’t have Wi-Fi connected. I like Viber, Skype & Tango. Guy iPhone 4S at cheap rates call me 0556609957. They are factory unlocked and facetime enabled. I have iPhone 4S available for sale. Factory Unlocked and FaceTime enabled. Rates are same as Mobily and STC. Ù„Ù‚Ø¯ ÙÙˆÙ† 4S Ù…ØªØ§Ø­Ø© Ù„Ù„Ø¨ÙŠØ¹. Ù…ØµÙ†Ø¹ Ù…ÙØªÙˆØ­ ÙˆØªÙ…ÙƒÙŠÙ† FaceTime. Ù‡ÙŠ Ù†ÙØ³ Ø£Ø³Ø¹Ø§Ø± Ù…ÙˆØ¨Ø§ÙŠÙ„ÙŠ ÙˆØ´Ø±ÙƒØ© Ø§Ù„Ø§ØªØµØ§Ù„Ø§Øª Ø§Ù„Ø³Ø¹ÙˆØ¯ÙŠØ©.